Upper Dolpo trekking is a most beautiful remotest trek in the north-west region of Nepal. Being situated between the Tibetan plateau and the Dahulagiri Himalayan range, it is linked closely with the frontier of Tibet that is inhabited by the people of Tibetan origin and culture. Dolpo trek provides you an opportunity to come across some unique monasteries adopting original Tibetan religion Bon that is much older than the Buddhism and the Shey Gompa (Crystal monastery) which is the most important pilgrimage of Tibetans. 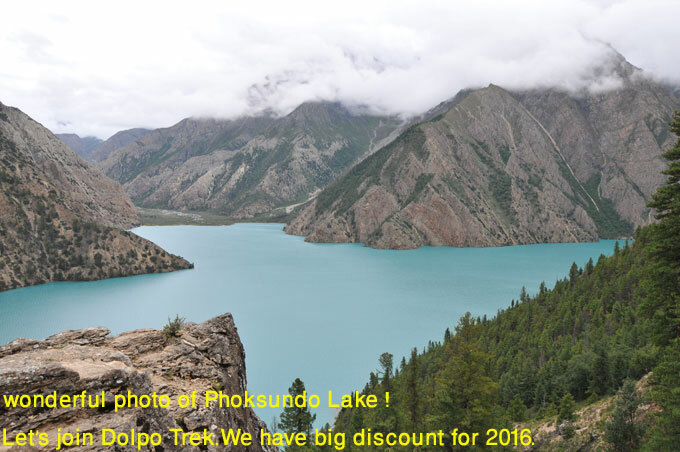 Since 1984, Dolpo has been the largest national park and conservation of Nepal. The park has been a home to Musk Deer, Himalayan Blue Sheep, the legendary elusive Snow Leopard and many other animals. The park contains the famous deepest Phoksundo Lake in Nepal, located at an altitude of 3,600m above sea level. Nepal’s first English subtitled movie 'The Caravan' (The Himalaya) nominated for the Oscar Award was shot in Dolpo area. As this is one the restricted areas of Nepal, a special permit for the visitors is required that costs US$ 700 per person for 10 days. 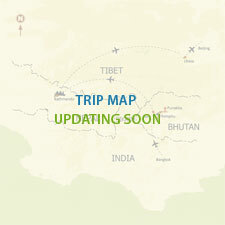 To extend this trip more than 10 days one needs to pay additional US$ 70 per day/per person. In Kathmandu we provide 2 star equivalent hotel like international guest house with bed and breakfast. In trekking we sleep in Tent. There are no more tea houses in Upper Dolpo trekking. In upper Dolpo trekking we take all kinds of food with us that is carried by our porters. We have our own cook who is expert to make all kinds of food and every day he changes menu and make ready delicious which is really appreciable. We do not recommend to eat any kinds of meat that is carried local porters from low land walking with 2-3 days. But we try to bring with us a packed meat. Some places we buy local mountain goat or Local chicken and serve the meat if tourists are interested. You can have meat as you arrive to low lands, Pokhara and Kathmandu.It is difficult to get mineral water in upper Dolpo trekking trail. We recommend to drink boiled water or purified water. Purifying tablet is provided by our guide. Only in some places we can get cold drinks and beers. In higher elevation we do not recommend to drink hard drink. We provide English speaking guide and some guide they can speak extra language like, Chinese, German, French, Spanish, Italian, Russian. Extra language guide is not included in this cost. On request of guest we provide extra language guide with extra cost. Our guides and porters are very helpful, kind and dedicated on their duty. Every day they pass massage to us about the situation of the guest, weather in Trekking. How hard is to go to upper Dolpo trek? Upper Dolpo trek is a hard trek due to many up and down hills as well as higher elevation though there are hundreds of beautiful breathtaking scenery. If you have good practice to walk up and down hills it is not so hard. The trekking trail pass along narrow slippery gorges road. There are many places on the way to trail which are really danger of landslides. To protect from high-altitude sickness if tourists walk slowly and steadily with many breaks on the way to trek they can acclimatize easily and the trek will be easy. If possible try to practice walking through up and down steeps, Jogging and swimming are equally helpful. Any exercise that is convenient to you and helps you to be fit is recommended.